Following on from Andy Murray's momentous victory at last year's Wimbledon, the BBC is remembering the occasion in a new documentary. We aim to relive the final as it happened for you and we would love to hear your story. We would like you to send us any memories, pictures or video footage you have from the day that Murray defeated Novak Djokovic on Centre Court. No matter how funny or random you think the footage is, whether you were in some far flung location or it was shot as a last minute thought on your mobile, we would love to see or hear it. Share your memories by e-mailing us at murraymemories@bbc.co.uk, by commenting on the BBC Sport Facebook page or by tweeting us using #murraymemories. 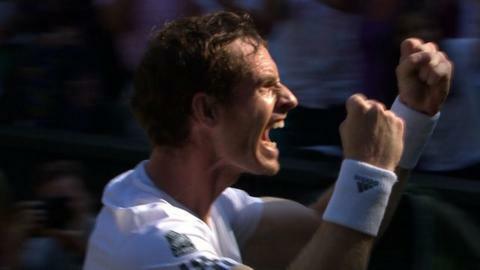 Can Murray inspire a new generation?